Our firm engages in offering a wide range of table lamp. Crafted with hand using solid and high grade glass, these Lamps look extremely charming and have warm antiqued finish. 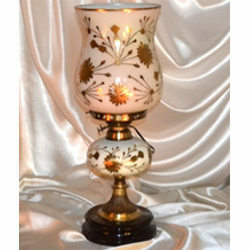 Not only this, the lamps offered by us have traditional gracious design, and stylish look. THe glass shades are made up of crystal quality lead glass. 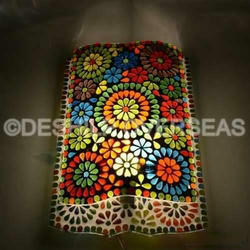 It can be used as a candle stand or an electric lamp. We are leading supplier & distributors of Jigsaw Lamp 2.